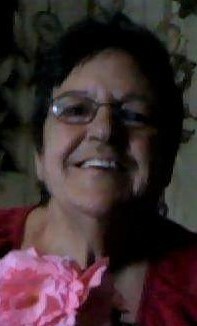 Susan Coe Holbrook, 57, of New Hartford, CT, passed away Tuesday, July 24, 2018, at her residence. Susan was born August 20, 1960, in Torrington, CT, daughter of Adrienne (Chartier) Weik of Litchfield, CT, and of Newton Holbrook of Jackson, NY. She was employed by Conti and Levy as a Legal Secretary and was a very active member of The Coe Memorial Park Committee. In addition to her parents, she is survived by a son, Matthew Holbrook of New Hartford; two daughters, Crystal Thornton and Delia Holbrook both of Torrington; one brother, Donald Holbrook of Avon; two step sisters, Michelle Weik, Maureen Bellmay; one step brother, Barry Weik; three grandchildren, Jayden, Scott and Caleb Holbrook; one niece, Lindsay Holbrook, and one nephew, Brandan Holbrook. She was preceded in death by one sister, Nancy Holbrook. Funeral Services will be held on Thursday, August 2, 2018, at 11:00 a.m. at St. Paul’s Lutheran Church, 837 Charles St., Torrington, CT. Burial will follow at Hillside Cemetery. Relatives and friends may call from 9:30 a.m. to 11:00 a.m. at St. Paul’s Lutheran Church.